Will we resolutely face the consequences of a coherent, historicized revolutionary vision, or will we continue to slowly fade into a morass of ever-diminishing compromises? Kurds have found—indeed, have chosen—their place in the development of human freedom. What is ours? Göbekli Tepe (Urfa, Kurdistan) site of one of the earliest known human structures. 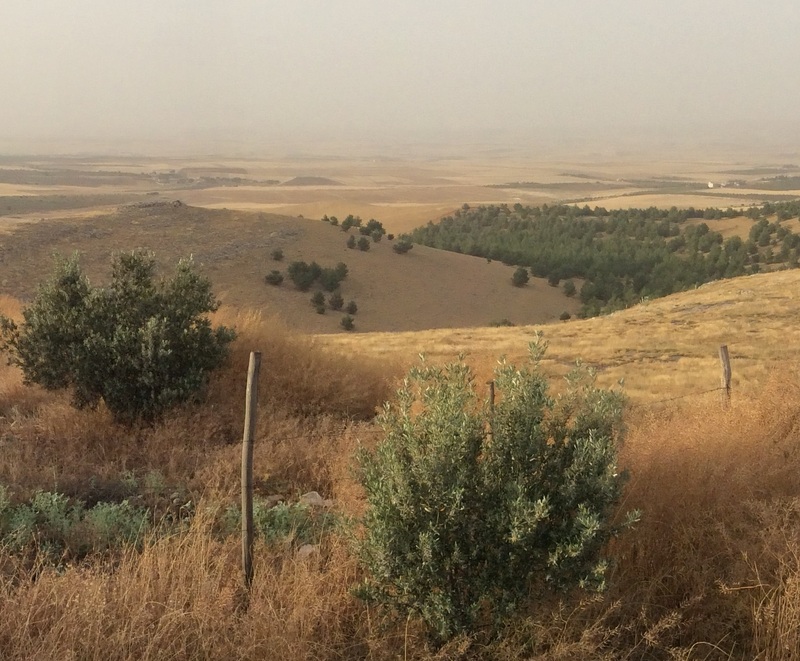 Kobane lies beyond the horizon. Source: ISE. I recently had the opportunity to visit Turkey and North Kurdistan. In that short time, Istanbul celebrated the third anniversary of the struggle to protect Gezi Park, the People’s Democratic Party (HDP) won unprecedented political representation in the Turkish parliament, and the cantons of Cizire and Kobane were joined. 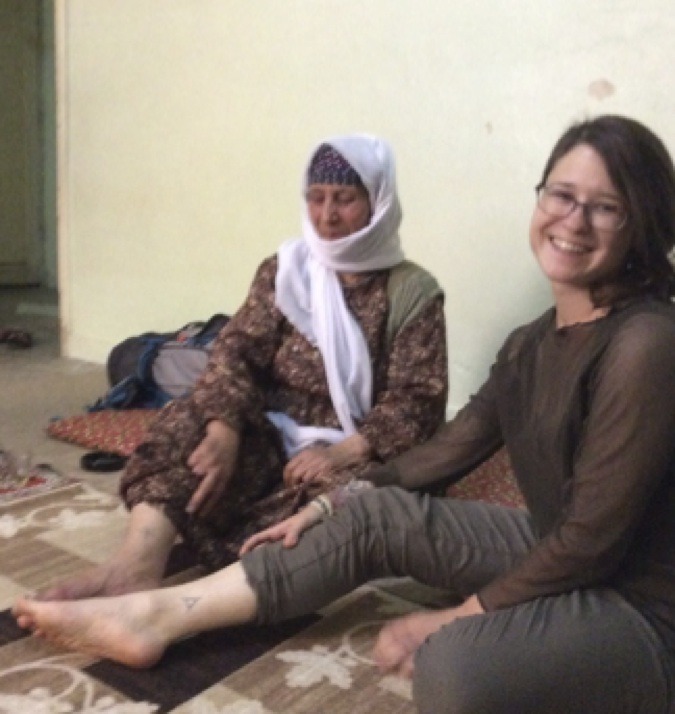 Throughout these dramatic events, I was often sitting cross-legged on living room floors, drinking tea and listening to the stories of journalists, activists, and families who had participated in the Rojava Revolution. Such conversations were made possible through many comrades, most of all through Jihad Hemmi, who acted as a guide, translator, and intellectual companion. Through my travels, I was given a glimpse of the relation between the Kurdish freedom movement and the philosophy of social ecology. By the same token, I gained a much clearer sense of the extraordinary scope and meaning of this particular revolutionary struggle. Left-libertarian thinker Murray Bookchin developed the concept and field of social ecology from the 1960s until his death in 2006. Today, many other education projects, publishing ventures, political organizations, and writers also constitute this intellectual movement. Social ecology groups exist in many countries- including Turkey, Norway, Spain, Greece, Columbia, the United States and others. Although marginal on the Left as well as the mainstream, social ecology has had 40 years of steady influence on social and political movements throughout the world. PKK leader Abdullah Ocalan started reading Bookchin at the beginning of his prison exile in the early 2000’s, bringing Bookchin’s works to his lawyers as recommended reading for the rest of the PKK. In 2004, Ocalan recognized himself in a letter to Bookchin as his “student”, and was in the process of establishing his own theories modeled on Bookchin’s ideas. In 2006, the PKK began organizing Democratic Autonomy, an administrative system of civic councils to statelessly govern North Kurdistan. Democratic Autonomy would become an important antecedent for the cantons in Rojava, as well as for the confederal projects currently being set up within the Turkish state by the HDP (People’s Democratic Party). An Ocalanist and the author share tattoos. Tattoos are prohibited under Islam, but are a retained aspect of Zoroastrianism in Kurdish culture. Source: ISE. * A previous version of this article first appeared in the blog of the Institute for Social Ecology. ** Eleanor Finley has been a student at the ISE since 2011. She has a background in feminist activism and was a participant in the Occupy Wall Street Movement. Eleanor is a graduate student in anthropology at the University of Massachusetts, Amherst, where her research focuses on social movements, environment, and energy in Europe. She is currently conducting action-research within the Spanish anti-fracking movement, and interns with Environmental Justice Organizations, Liabilities and Trade (EJOLT) at the Autonomous University of Barcelona. Click here for more info and for links to Eleanor’s writings.